An extra spacious garden shed with double doors and flat roof. When you are ready, choose 'Add to Cart' to complete your purchase securely online. The YardSaver F64 is made out of quality materials, has plenty of usable space, double hinged doors and a flat roof. The F64 has plenty of space and volume to store your lawn mower, bikes and garden equipment without over crowding your yard. It is a great option for your back yard, pool side or where ever you need a decent sized storage solution. This is a quality, affordable DIY storage solution that is easily assembled. Anchors included for permanent and secure mounting to a concrete slab. 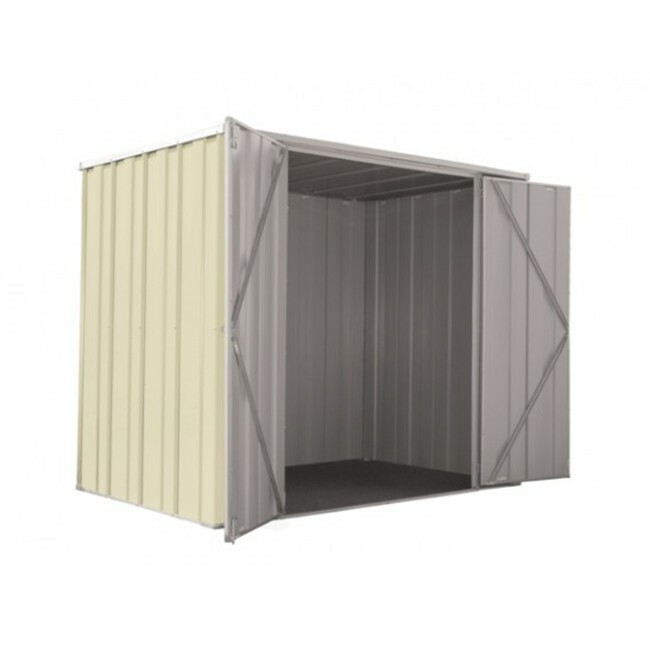 These sheds are manufactured from quality steel and are designed with low maintenance in mind. View the Concrete Slab Size Guide for this item. 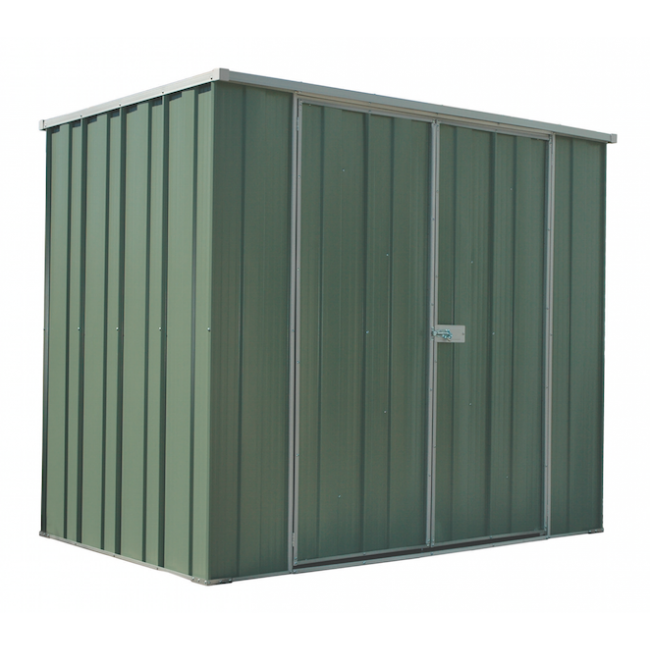 Purchase one of the popular YardSaver Garden Sheds today, and have it delivered to one of the many depots across Australia. Please note; all items are made to order with the manufacturers, we do not hold stock of these items at the delivery depots. Products are delivered either direct to you or to selected depots via the Australian manufacturers / distributors. If your order contains multiple items, each item may be couriered from different warehouse locations. Unless otherwise stated in the "Product Description" tab, approximate delivery times are noted below. * Most Absco Garden sheds take approximately 5 to 10 working days for manufacturing. * Delivery generally takes approximately 5 - 10 working days after depatch from the factory. Please make sure you order the correct item(s) before purchase. If you order an incorrect part or structure, this may not be picked up on our end and the item you ordered will be sent and delivered as per your purchase instructions. In the event you wish to return this item to the warehouse, you may be liable to cover the return delivery cost, as well as a 25% restocking fee. Please be aware that our logistics provider Mainfreight have become very stringent on enforcing their policy for freight storage at their Depots. They are a transport provider and not a storage facility, so therefore are unable to store any of our products for any extended period, in particularly our bulkier items such as Smartlockers, Carports, Workshops and Garages. 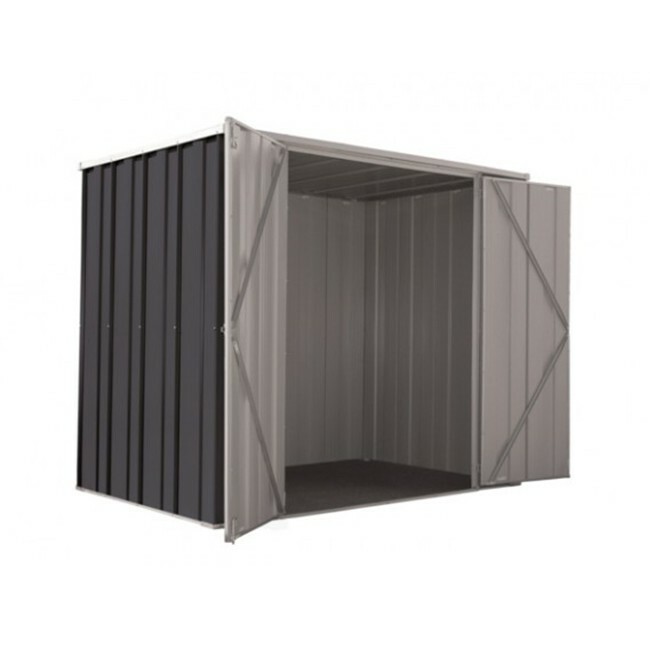 The Mainfreight policy on storage is that all goods must be collected from the selected Depot by you within 5 business days of arrival, otherwise additional storage fees will be charged to you at $5.00 /M³ per day which can be up to approximately $20.00 per day for a large kit garage. 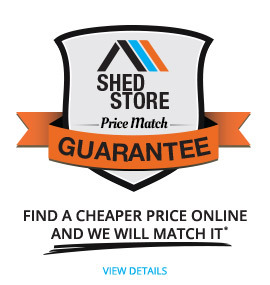 Neither the Manufacturers nor ShedStore.com.au will cover or inherit any cost you (the customer) inherit should you be unable to collect your goods from the depot in question within 5 business days of the order arriving at the depot. By purchasing with us, you (the customer) agree freight must be collected from the selected depot within 5 business days of order arrival at the depot, else you (the customer) will be liable for any additional charges that will be applied. All ABSCO Garages, Carports and Awnings are made to order, and will take approximately 10 working days for manufacturing before dispatch. All ABSCO Aviaries will take approximately 5 working days for manufacturing before dispatch. 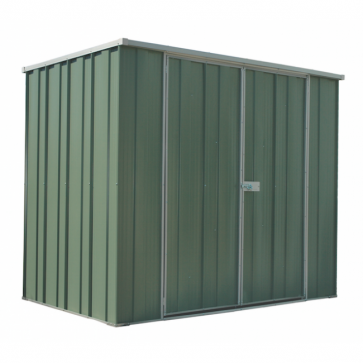 All ABSCO Garden Sheds will typically be able to be dispatched within 48 hours. ** If the delivery doesn't meet criteria, additional charges may apply. This includes, however isn’t limited to, Mainfreight having to do a two man delivery if the customer is unable to assist with unloading, or if the customers property isn’t suitable for a tailgate truck. Additional charges start at $90 plus GST, however we will advise you before the delivery if additional charges are required. Any additional charges will need to be paid before the delivery can occur. To avoid any additional charges, there will need to be someone available to assist with unloading. *** Most larger Absco items have NO DELIVERY TO: Russell Island, Christmas Island & Cocos (Keeling) Islands (6798, 6799). * YardSaver, StoreMate & YardPro Eco Plus 2010 & 1510 models are normally dispatched from the warehouse in 3 days. * Smartbild, Smartlocker, YardPro Carports, YardPro Nova and Thor Workshop models go into a manufacturing schedule, and take around 3 to 4 weeks to be delivered depending on location around Australia. For some larger items, home delivery outside of Brisbane, Gold Coast and Sunshine Coast may require a delivery quote. You can contact us here for a delivery quote. * Mainfreight will deliver to the front of the property only. * Ensure property driveway is suitable for a tailgate truck. * Ensure someone is available to assist with unloading to avoid additional charges**. Click here to find depot's available in each State of Australia. * It is recommended to check with your local council regarding approval before you purchase a shed, garage carport or awning. * You can request the Engineering Documentation for your product here. 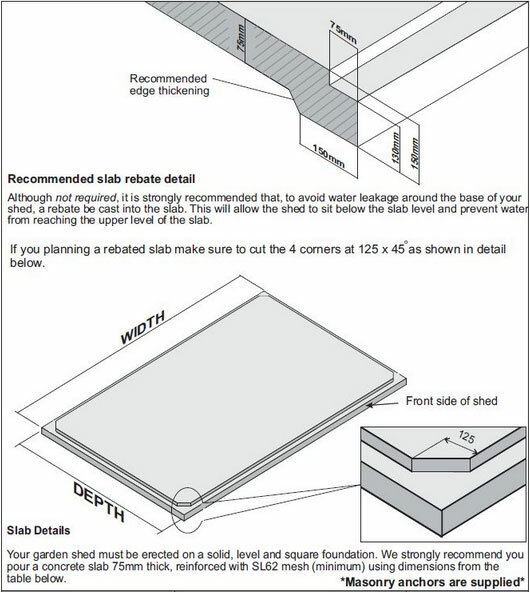 * It is recommended to use Anchors when installing your shed onto a concrete slab. * We recommend to purchase accessories while purchasing the main product (e.g. shed, garage) to avoid additional courier costs. > Click here for a range of How To Videos from our suppliers. If you live in a cyclone prone region, you may require a Cyclone Upgrade kit for your item. 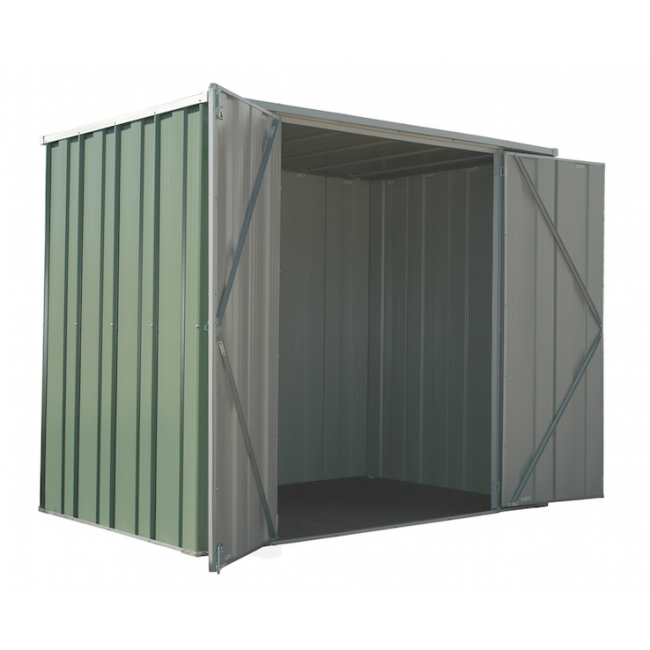 Most Absco garden sheds are Wind Rated at W41C (C1) to withstand winds of up to 147km/hr. Absco Cyclone Upgrade Kits are not suitable for the the following Absco ranges. Absco products fitted with relevant sized Cyclone Kits ensures the product is rated to W50C (C2) and can withstand up to 180km/hr winds. Click here for more information and guidelines when purchasing and building Absco products in cyclonic regions. © 2017 JD Digital Pty Ltd. | ACN: 603 712 876 | All Rights Reserved.